During the course of the past month, several research companies have released new studies detailing the behavior of modern television viewers. In quite a few areas, many of the surveys seemed to overlap in their findings. We’ve taken all of the relevant data and compiled it into an easy-to-read format that should make learning about the discoveries more convenient and allow for further extrapolations. It is worth noting that each study also contained additional findings not graphed in the following charts. It’s advised to follow the links to read the results in their entirety. -Second-screeners: This percentage of viewers acknowledged utilizing a second-screen device of some sort, including tablets, phones, and other miscellaneous connected devices while watching television. -Social media users: This percentage of users revealed that they somehow interacted with social media, such as Facebook or Twitter, while watching television. “Interaction” here is defined as discussion, comments, chatting, etc. -Traditional TV Viewers: This percentage of viewers either self-described as TV traditionalists, or was described as such in the data. -Watch live TV: These respondents said that they watched television as it was broadcast. 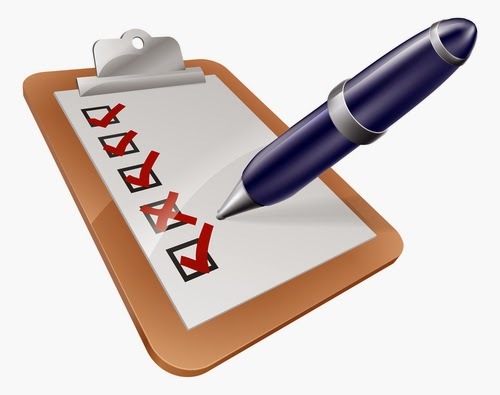 -Recommendations: These respondents stated that in some way, they valued personalized recommendations. -Friend/Family Influence: These viewers acknowledge that their peers and relatives aid in their discovery of new television programming. 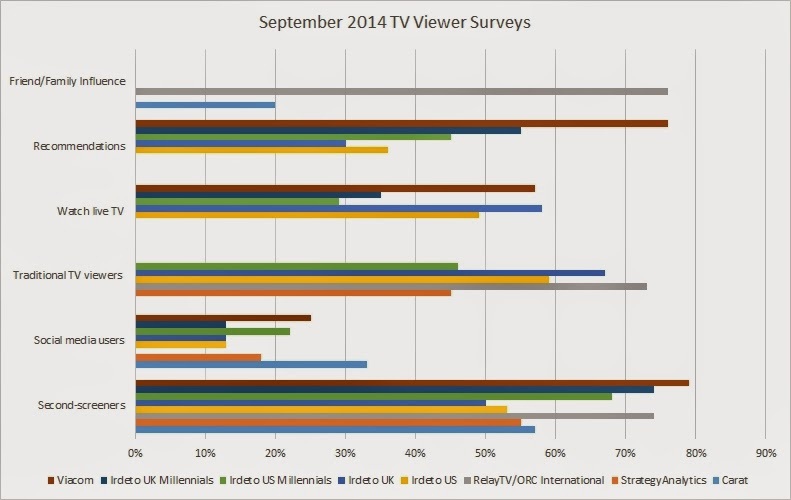 The Irdeto poll was comprised of multiple groups which were split out for the purposes of the first chart – U.S. respondents, U.S. Millennials, UK respondents and UK Millennials. And these weren’t the only TV viewer studies to come out this month! Also worth checking out: Parks Associates’ survey on Digital Media & Connected Consumers (released September 18), Digital TV Research’s analysis on Internet Connected TV sets (released September 17) and Altman Vilandrie & Company’s survey on tablet and smartphone viewing (released September 25).